Your beautiful soul deserves beautiful expression. 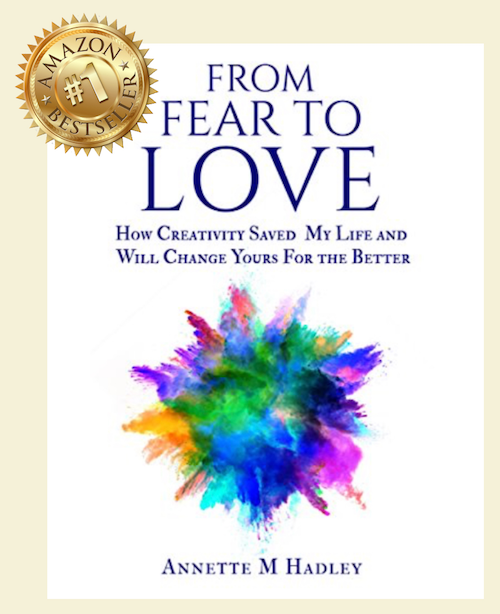 This Amazon #1 Bestseller book will show you how healing is possible through creative expression. Living and working in three countries, and traveling to over thirty countries in the last ten years, I found myself and my truth through immense personal pain, change and the creativity it birthed. My stories of healing, including abstract photographs, paintings and illustrations sourced from my soul and world experiences, draw people in with their vibrant energy. A little bit about trauma and a lot about healing. How comforting unconditional loving kindness can be. The value and importance of connecting with the child within. How creative expression, both visual and written, is a powerful healer. How to draw your own mandalas and understand their messages to you. The "rules" of process painting, and how to set up your own home studio. The story behind my love affair with chandeliers and the world. How to manifest beautiful soul-connected fine art into your space. If you’re ready – spirit and soul – to experience the transforming power of creativity, THIS is the book for you. Click here order your copy today! Through this beautifully written book, Annette Hadley shares candidly the story of her own journey of personal healing. I like how real her voice is throughout the book. Her message is an extremely important one because in this day and age, we do not seem to want to go deep into how much the level of fear we carry hinders our ability to experience, receive, and give love. Love is not just romantic love, as so many of our channels of communication and entertainment tell us; no, as she says, "I strongly believe that our #1 responsibility as humans is to love ourselves. From there, we are truly able to love others". I firmly believe there would be much less sufferings if we followed her example. There is a superficial treatment of the word 'fear' in the world today. The biggest fear we humans experience is not of something external-- we fear facing our own demons, our own wounds. In her book, Annette tells us how she intuitively realized that she needed to face her fears and be committed to "lean into the pain and really FEEL it" in order to make more space for love. I found her idea of placing QR codes throughout the book a wonderful tool to lend easy accessibility to her videos-- showing different modalities of healing and how she answered the call of creativity. Watching Annette create her art-- in one of her videos-- felt to me like an invitation to join her in a beautiful and fluid dance conducive to healing. After I finished reading this book, I was left feeling deeply inspired and with a sense of admiration for the courage of this woman's soul and for the beautiful and unique ways the expression of her creativity takes. It is so much easier to cruise through life, pushing aside all our feelings. Annette is inviting us to not let life live us, but instead, to decide to face our fears head-on, to consciously feel our past and present pain in order to heal it, so that we can begin to live from a place of inner knowing and deep loving towards ourselves and others. I encourage others to read it so that they can learn from a truly masterful teacher. This author is a power to be reckoned with!